I am a landscape archaeologist with a particular interest in wetlands. My main field projects were on the Humber Wetlands Project and the excavation of Sutton Common, an Iron Age 'marsh-fort' in South Yorkshire. My other research is focused on the archaeology of the North Sea, the sewn-plank boats of the Bronze Age, the impact of climate change on wetlands, and the perceptions of wetlands and the sea in the past and present. My most recent book is Climate Change Archaeology, building resilience from research in the world's Coastal Wetlands , published by OUP in October 2013. For more details, click the Research tab. Other functions that keep me occupied include the Deanship of the College of Social Sciences and International Studies, and the Chairmanship of the South West Regional Flood and Coastal Committee. The project to construct a full-scale Bronze Age-type sewn-plank boat in the National Maritime Museum Cornwall, in Falmouth, is complete. Shipwright Brian Cumby, who has been trained in Bronze Age technology, has overseen the construction of the craft. The boat is based on the archaeological discoveries in the Humber estuary at North Ferriby and Kilnsea, using John Coates' and Ted Wright's reconstruction of 'the hypothetical reconstruction of the complete boat'. Morgawr was launched in March 2013 and will be undergoing seatrials in the next two years. The project was funded by the Arts and Humanities Research Council (AHRC). You can see many images of Morgawr on YouTube and on Facebook. A 40-minute film on the boat, produced by Paul Inman and Mark Jenkin, is now available on Vimeo. Can archaeology play a role in current debates on climate change? And what form would the contribution from archaeology take? To date, archaeologists have not been heard in the debates on 21st century climate change and that is a problem that we need to tackle. In 'Conceptualising Climate Change Archaeology', published in Antiquity of September 2011 (subscription required, click here for alternative access to the paper), I investigate the background to this issue, and propose a new way of working with the aim of giving archaeology an active role in climate change debates. With support from the Arts and Humanities Research Council (AHRC), I have applied these concepts to four case studies: the North Sea, the Sundarbans, and Florida's Gulf Coast; and the results has been published as Climate change archaeology: building resilience from research in the world's coastal wetlands (Oxford University Press, 2013). While other archaeological studies have viewed the sea from the land, in this innovative study I have placed the sea centre stage. In North Sea Archaeologies, a maritime biography 10,000 BC-AD 1500, I explore past human relationships with seas and oceans, using the North Sea as a case study. The book traces the way people engaged with the North Sea from the end of the last ice age, to the close of the Middle Ages, drawing upon archaeological research from the countries around the North Sea. Topics addressed range from the first interactions of people with the emerging North Sea, the origin and development of fishing, the creation of coastal landscapes, the importance of islands and archipelagos, the development of seafaring ships and their use by early seafarers and pirates, and the treatment of boats and ships at the end of their useful lives. North Sea Archaeologies offers a 'maritime turn' in its discipline through the investigation of aspects of human behaviour that have been, to various extents, disregarded, overlooked or ignored in archaeological studies of the land. In the book, I conclude that the relationship between humans and the sea challenges the frequently invoked dichotomy between pre-modernity and modernity, since many ancient beliefs, superstitions, skills and practices linked to seafaring and living on the coats are still widespread in the modern era. Is the book any good? Don't take my word for it, but read the reviews in Antiquity, The International Journal of Nautical Archaeology and the Cambridge Archaeological Journal. (the last two may have limited accessibility and require subscriptions). A paperback version is now also available. Much of my recent research has been on the archaeology and natural history of the Humber Wetlands, an extensive area of low-lying lands which developed into wetlands during the Holocene following the Postglacial sea-level rise. A large-scale survey of this area was undertaken between 1992 and 2000, funded by English Heritage, and the final results were published in 2004 as The Humber Wetlands. The Archaeology of a Dynamic Landscape by Windgather Press. My work on wetland archaeology outside the Humber Wetlands include the 2006 book co-authored with Aidan O'Sullivan Rethinking Wetland Archaeology (Duckworth). Robin Weaver's review of this book was published in Rosetta. About 20 other papers on wetland archaeology can be viewed on the Exeter Research and Institutional Content archive, ERIC. The enigmatic double enclosures of Sutton Common, near Askern on the edge of the Humber Wetlands, have been the subject of archaeological research since the 1930s. The open area excavations in 2002 and 2003, undertaken by the Universities of Exeter and Hull, have provided a radical reappraisal of this site, which is now described as a Middle Iron Age 'marsh-fort'. The work promises to shed a new light on the Iron Age of this part of Britain and beyond. The final report of the excavations appeared in 2007 as a Council for British Archaeology Research report (co-edited with Henry Chapman and John Collis): Sutton Common; the excavation of an Iron Age 'marsh-fort'. Following the discovery of the Kilnsea boat plank on the East Yorkshire coast in 1996, I have undertaken research in prehistoric maritime archaeology, in particular the socio-economic, political and ritual context of seafaring in later prehistory. I have researched the contexts of the British sewn-plank boats, within a wider European context, and the results of this work was published in 2009 as 'Argonauts of the North Sea: a social maritime archaeology for the second millennium BC' in the Proceedings of the Prehistoric Society 72, and earlier in 2006 as 'Ancient Seascapes: the social context of seafaring in the Bronze Age' in World Archaeology 35 (3): 404-415. For additional papers, see the Exeter Research and Institutional Content archive, ERIC. I have had a lead role in a number of English Heritage and EU funded projects into the heritage management and conservation of wetlands. These include the development of research underpinning and the production of the English Heritage Strategy for Wetlands, the creation of a Wetland GIS for local authority planners, and the development of management plans for the most important wetland sites and landscapes in England. Currently, I work on the NERC's Centre for Ecology and Hydrology-led project 'Wetland Vision: adapting freshwater wetlands to climate change' and I am a core-panel member of the IUCN UK Peatland Inquiry. Recent papers in this field include 'In situ preservation as a dynamic process; the example of Sutton Common, UK', published in Antiquity in 2001 (with Henry Chapman and James Cheetham) and 'Wetland prospection using GPS and GIS: recent work at Meare (Somerset) and Sutton Common (South Yorkshire)', in the Journal of Archaeological Science 28: 365-75 (with Henry Chapman). I currently work with the National Maritime Museum Cornwall, and the Universities of Southampton and Oxford Brookes on the contruction and testing of the Bronze Ag-type sewn-plank boat project. For the next experimental maritime project, we are extendng this research collaboration to the British Museum and the University of Wales Trinity St Davids. I have just attended the workshop The Emergence of Maritime Networks at the University of Toronto, and we will be developing a manifesto for this research venture with colleagues from across the world. William Fletcher: Valuing archaeology; exploring the rationale/reality of the heritage management of UK wetlands. Robert Van de Noort studied History at the University of Utrecht and Archaeology at the University of Amsterdam. He worked at the British School at Rome (1988-89), and the Rotterdam Archaeology Unit (1989-1991) before moving to Britain where he became the manager of the Humber Wetlands Project (1992-2000) and the director of the Centre for Wetland Archaeology (1996-2000), both based at the University of Hull. 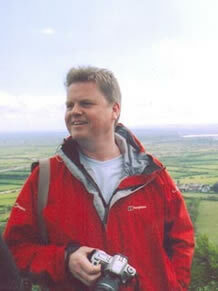 In 2000, Robert was appointed Senior Lecturer in Archaeology at the University of Exeter. In 2003, he became Head of Department and then Head of the School of Geography, Archaeology and Earth Resources from 2004-2008. In 2006, he was appointed to a Personal Chair. Between 2008 and 2011, Robert was the University Dean of the Faculty of Graduate Research. Since 1 August 2011, he is Dean of the College of Social Sciences and International Studies.